Dnav.com is a browser hijacker that is developed entirely in French. It is also categorized as a potentially unwanted program (PUP) because users do not give any permission for its installation. Although the browser hijacker’s victims should mainly be French-speakers, anyone can get infected because the Internet has no borders. It should be really frustrating to open your usual browser for work or leisure and notice that everything is completely different. The homepage, the default search engine, and even new tab are changed into an unknown website that is even written in a foreign language. What is more, if you see this hijacker on one of your browsers, you can be sure that all your other browsers are also infected: the potentially unwanted program is compatible with Google Chrome, Internet Explorer, and Mozilla Firefox. Our security experts advise you not to procrastinate Dnav.com removal: if it is kept on your PC for a long time and used extensively, it can bring a lot of viruses onto your PC system. If you have stumbled across a browser hijacker before, you probably know that it should not be used for browsing. If you try searching for information by using Securery as your search provider, the results may surprise you in a negative way. We found out that there are a lot of advertising done on this website and thus do not recommend using it even for a short period of time. There are a lot of commercial advertisements displayed, from sponsored links to banners, pop-ups, coupons, or discount offers. Usually, you may see these ads at the top and at the bottom of the page. These are called “sponsored links” and they look exactly like the legitimate results. Also, there are pictures of coupons with promoted items. At the right site of the screen there is a bunch of gaming sites and articles suggested. As we can see, this hijacker is created not for the user, but for collecting money. Also, your search history and similar data is collected. 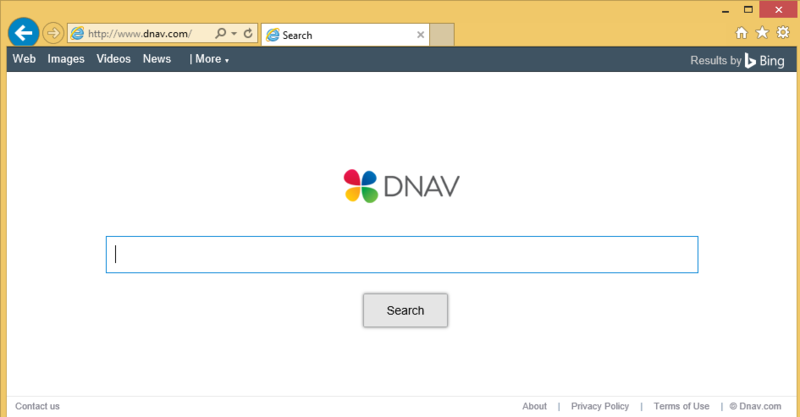 Every user has to remove Dnav.com from their PC in order to maintain his/her security. How did I get infected with Dnav.com? The browser hijacker cannot be acquired from its official website. If there is no possibility of downloading a program willingly, we can assume that the only way of distributing it is bundling it with other applications. Dnav.com can come from P2P websites bundled with the programs you download. If you want to avoid such situations, choose Custom/Advanced installation type the next time. How to remove Dnav.com from my personal computer? We can assume that you really want to delete Dnav.com after hearing everything about it. This can be quite easy: all you need is a legitimate and up-to-date anti-malware and anti-spyware application WiperSoft. It will surely uninstall Dnav.com and will also get rid of other potentially unwanted programs that could harm your computer.